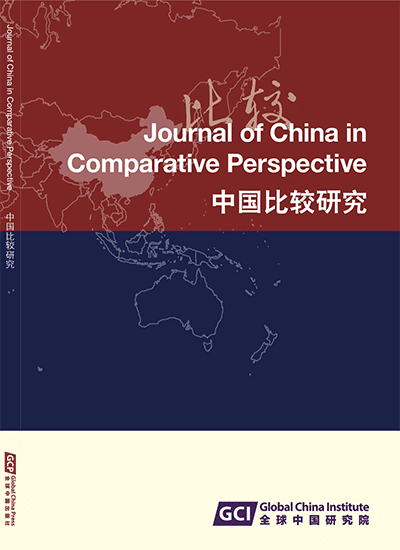 Journal of China in Comparative Perspective (JCCP) is the only peer-reviewed academic dual language journal for social scientific, humanities and comparative studies of China in the world, published biannually in June and December in print and electronic versions from 2015 by the Global China Press. Electronic articles can be accessed online from the JCCP website after you have subscribed to the journal. For institutions, we will need your IP address/es, either on-campus, off-campus or both. Download full text (PDF) : After click 'add to cart' and checkout you can see a link to download this article on screen and also you will receive an email with the link for download it. It is interesting to compare rural families and family property in China and in Japan. The family (ie) in Japan is an entity mainly concerned with farm production, and it is made up of elements such as the family name, family property, family business, family status and ancestral sacrifices. The family property is exclusive (it is inherited by the eldest son alone) and perpetual. In contrast, the Chinese family (jia) is mainly concerned with continuing the lineal blood relationship. Family property, as the economic support base for the family, is in principle inherited equally between brothers. However, in the case of Kaixiangong Village Area 13, cited in this paper, family property seems to be treated similarly to family property in Japan. For example, in multi-son families of the 1970s, to avoid dividing the family property, only one son inherited it, while other sons married and moved in with their wives’ families. Although this system appears similar to the Japanese family property system, it is essentially different in nature. This paper, taking Kaixiangong Village as an example, focuses on housing, both as a unit of living and as part of family property, and analyses the process of change in rural families and family property in Southern Jiangsu Province from an historical angle. Observation of the change in housing in Kaixiangong Village over the past hundred years reveals that the division of family property was limited, and the growth in the economic accumulation of individual families led to a steady increase in family property. Abstract: It is interesting to compare rural families and family property in China and in Japan. The family (ie) in Japan is an entity mainly concerned with farm production, and it is made up of elements such as the family name, family property, family business, family status and ancestral sacrifices. The family property is exclusive (it is inherited by the eldest son alone) and perpetual. In contrast, the Chinese family (jia) is mainly concerned with continuing the lineal blood relationship. Family property, as the economic support base for the family, is in principle inherited equally between brothers. However, in the case of Kaixiangong Village Area 13, cited in this paper, family property seems to be treated similarly to family property in Japan. For example, in multi-son families of the 1970s, to avoid dividing the family property, only one son inherited it, while other sons married and moved in with their wives’ families. Although this system appears similar to the Japanese family property system, it is essentially different in nature. This paper, taking Kaixiangong Village as an example, focuses on housing, both as a unit of living and as part of family property, and analyses the process of change in rural families and family property in Southern Jiangsu Province from an historical angle. Observation of the change in housing in Kaixiangong Village over the past hundred years reveals that the division of family property was limited, and the growth in the economic accumulation of individual families led to a steady increase in family property. PARK Hong /Ko Paku 朴红 is an Associate Professor of Agricultural Economy at the Graduate School of Agriculture, Hokkaido University, Japan. She is mainly interested in conducting fieldwork for long-term follow-up studies on agricultural and rural development in the East Asian area (China, Japan, South Korea and Taiwan). She has published more than 70 articles (in Japanese, Chinese, Korean and English) and six books (in Japanese), including The Revival of Family Business and Establishment of Rural Organizations in Northeast Rural China (1999), Peasant Association in China (2001), The Export Strategy of Vegetable Processing Enterprises in China (2006) and Rural Cooperatives in Taiwan (2010).